In this worksheet, children must convert between hours and minutes. There are 60 minutes in 1 hour. This is a very important fact, that you must learn. How many minutes are there in ½ hour? How many minutes are there in 2 hours? How many minutes are there in 2½ hours? How many minutes are there in 1½ hours? How many hours are there in 120 minutes? How many hours are there in 180 minutes? How many hours are there in 240 minutes? How many hours are there in 90 minutes? 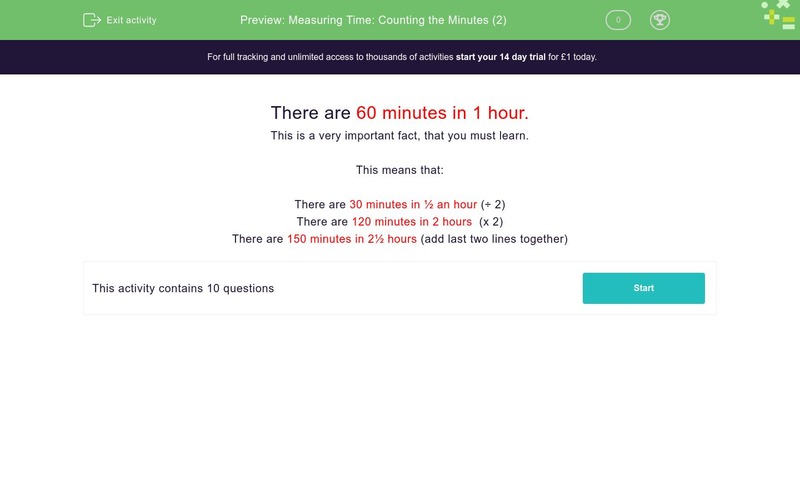 How many hours are there in 150 minutes?